All camper applications must be completed online by a camper's parent or legal guardian. All eligible campers must be between the ages of 8 and 17 years old at the time of camp. If this is the first time you are completing an application online, it will take you approximately 25 minutes. It is extremely important that you gather all required information for each camper before you start the application because it must be completed at one sitting. Step 1: Gather information needed for each child. Step 2: Apply online (will take approximately 25 minutes per camper). You must create a login unless you created one in the past for Hye Camp. If you have used Active.com to register for sports teams, classes etc., it will recognize your email and will have saved some of your information. There is an option to upload a picture of your child. We highly recommend you add a photo to the application. This will help us identify your child when they arrive at camp. Answer all questions marked with a red asterisk (*) or you will be prevented from moving on to the next section. Type N/A or NONE if the question does not apply to the applicant. If you leave the page inactive for 20 minutes, you will be logged out and your information will be lost. You must complete the registration form in 1 hour or you will be logged out and lose all your entries (but it should not take that long). You must register all campers at the same time for the family discount to apply immediately. On the first page of the application, “add” the number of children you are registering to the “cart” per each week of camp. You can do this by clicking “add” or by using the drop down box next to “quantity”. For example, your cart should show a quantity of 3 if you are registering 3 campers. You will then enter each child's name, birthday and the grade they will be entering this fall before moving on to each application. Look for the “use first registrant’s info” when beginning the second application and click it to automatically fill questions that will be the same for each child. Step 3: Submit Payment online (credit card or electronic check). We only accept payments online by credit/debit cards and e-checks. Pay in full at the time of registration by credit card or echeck. 3-installment payment plan (credit card only). One third will be due upon registration, then your credit card will automatically be charged one third on April 15th, and the balance will be charged on May 15th. Please note: If this option is chosen, your child’s application will be pending until payment is made in full. You will have until May 15th to pay in full or your child will be removed from the week they are registered and they will be placed on the waiting list. NOTE: A $35.00 cancellation fee will be assessed if an application is cancelled before July 4th. After July 4th, all cancellations are 50% refundable. If your child does not show up to Camp, their application fee is 100% non-refundable. Step 4: Receive email confirmation that we have received your application. 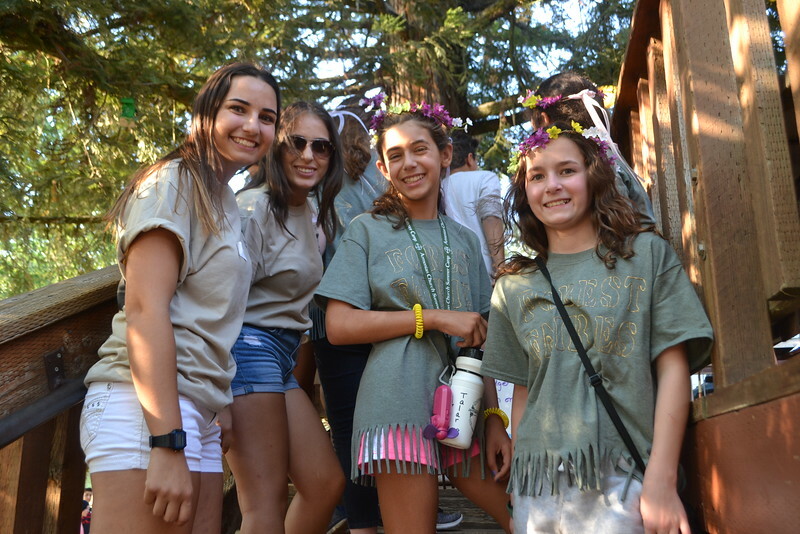 If you do not receive a registration confirmation email for each camper shortly after you submit the application, please email info@hyecamp.com. You may need to check your "spam" folder. Campers may only attend one week of Hye Camp. Acceptance is on a first-come first-serve basis. All applications will be reviewed and final decision for acceptance is based upon approval by the Summer Camp Committee. All information provided on this application is subject to verification. If it is determined that false information is provided, you may be disqualified from participating in the camp program. The Summer Camp Committee reserves the right to accept, reject, or reconsider any applicant. No camper or staff will be denied Summer Camp admission because of race, color or national origin. If your week of choice is full (capped at 110 until sufficient staff are in place), you may sign your child for the wait list for that week. There are approximatly 130 spots for campers each week. We strongly encourage you to put your name on the wait list. Once the week says "closed" you should sign up for an alternate week. However, if you would like to place your child on the wait list, click on the wait list for your week of choice, follow the registration process and make the payment. You will not receive a final confirmation until a spot becomes available. If your child does not get into their week of choice from the wait list, your payment will be fully refunded.